As Father John says — this is what real Christianity is all about. Thanks Betty. 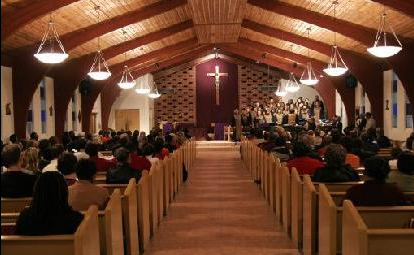 We go to Living Spirit United Church in Calgary, Canada. We have a small but also mighty congregation, an awesome choir, pianist, music director and the most wonderful couple of lesbian minister who are married and very much in love with God and with each other. Our youth are definitely going to change this world for the better. We support a single mum with 5 kids as part of an All Roads Lead Home program. We provide overnight food and shelter for 20 people 2x each month as part of the Inn From the Cold program. The excitement right now however is that one of our people is taking part in a bike relay in July from Calgary to Winnipeg. The ride will take 4 days and we are raising funds to support the Mully Children’s Family Charitable Foundation in Kenya. In just 1 Sunday announcement she has raised $1025. All of this is because we are told to “Do justice, love mercy and walk humbly with our God” I guess this doesn’t sound too humble does it, but it feels great to share the good news.